I always try and bring new and exciting skincare brands to this blog that I think offer something a little different, or have incredible products that I really want you all to know about. After all, that is my job. 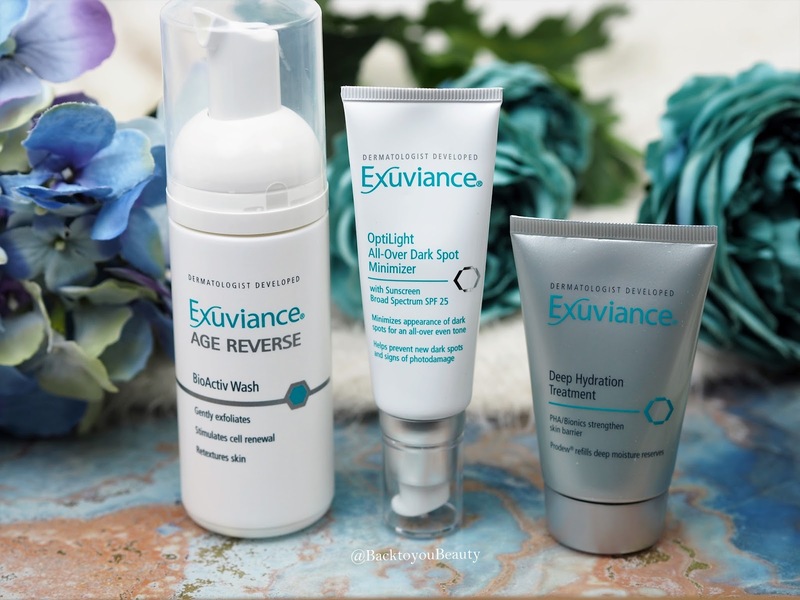 Exuviance is one of those incredible brands that I have been fortunate enough to try, enjoy and am seeing lovely results from. A dermatologist developed skincare range, they are incredible leaders in their field. According to their website HERE “They are creators and original patent holders of the first glycolic peel and discovered the rejuvenating powers of Alpha Hydroxy, Polyhydroxy and Bionic Acids, which provide proven, visible results backed by evidence from numerous clinical studies, patents & articles in every major medical journal of dermatology.” So there you go!! Ok, so lets just state the obvious….age reverse, or reversing age, is just not possible. We are all going to age and so will our body and our skin but what we can do is look after it the best way we can. We all know the importance of a great cleansing routine. There is no point putting expensive serums, moisturisers and oils onto uncleansed, dirty skin. It is a complete waste of time and money. 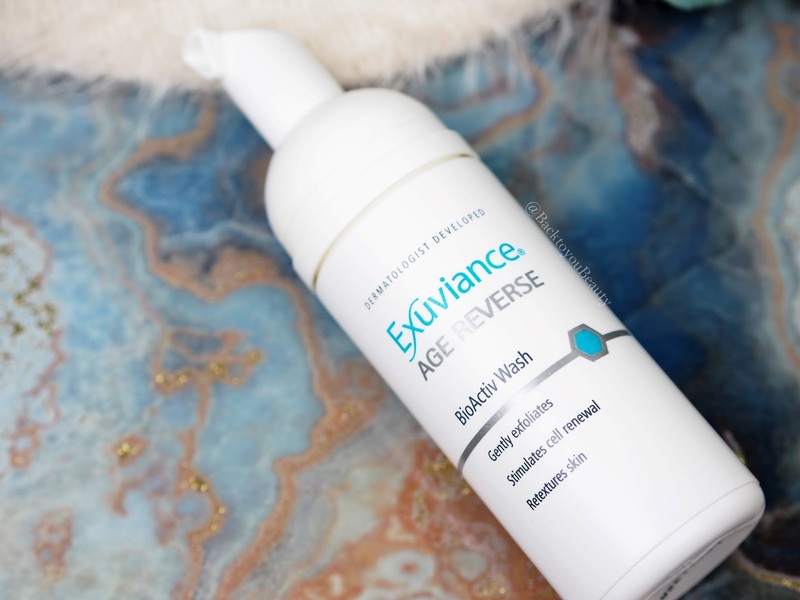 This cleanser from Exuviance really is beautiful at deeply cleansing and gently exfoliating the skin thanks to the inclusions of acids. 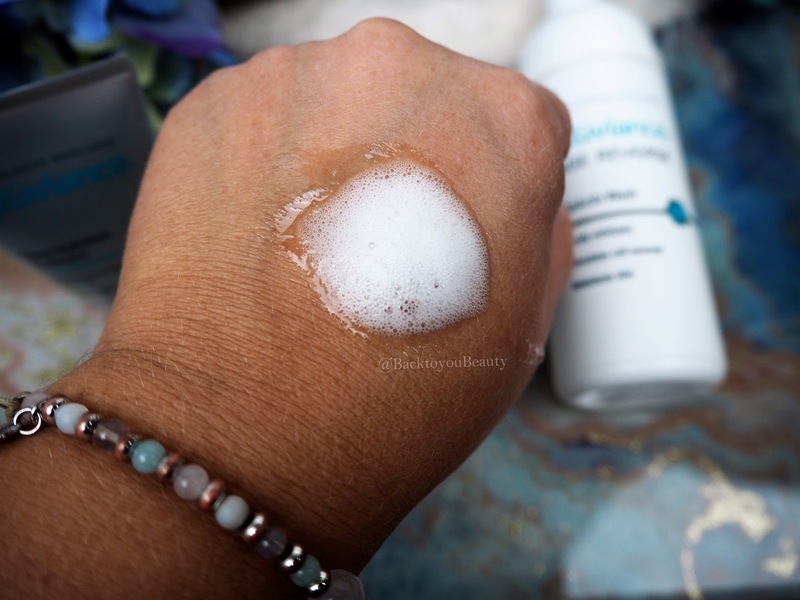 It is a foaming facial wash and whilst I know some of my readers are adverse to those due to drying issues, this did not leave my dehydrated skin feeling too tight or dry but I was ready for moisturiser immediately after each use. Used twice a day this creamy foaming cleanser was able to gently, yet effectively removes signs of make up, dirt and grime whilst leaving my skin looking hydrated and bright and feeling soft and comfortable. Containing Botanical extracts of aloe, rose, chamomile, rosemary and cucumber (to refresh and soothe the skin,) I found this a pleasure to use and perfect for a quick morning cleanse. It has a very light, fresh scent that I enjoyed. This for me, is my “Must have” from the products that I tried. It literally felt like a drink of water on my skin, that was not only completely hydrating but also cooling and refreshing too. This water based gel has an almost primer like consistency as you apply it to the skin. 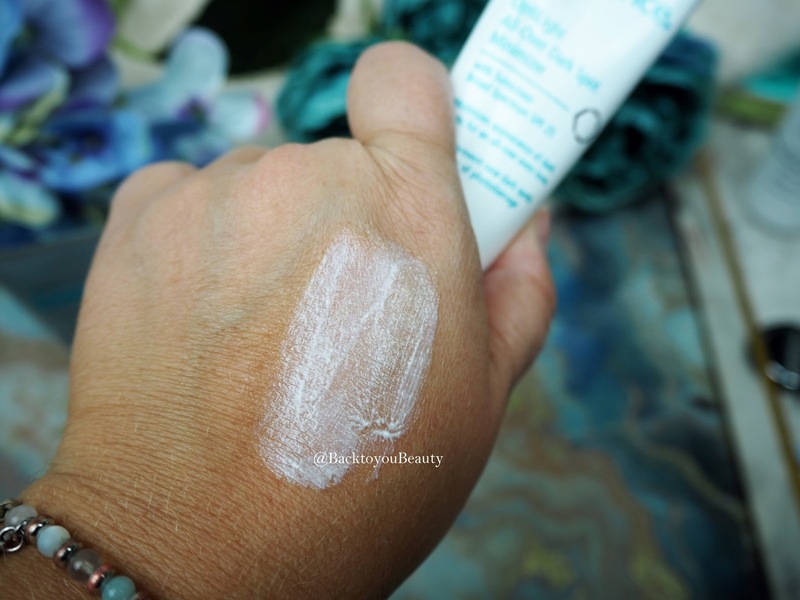 If you love the silicone feel of a primer (as I do) then you will really enjoy this. Applied after cleansing of an evening, the deep hydration treatment gets to work over night to attack and repair any damage that your skin may have faced throughout the day. PHA/Bionics and Evening Primrose Oil repair and restore the skin, leaving it feeling stronger and more resilient for the next day ahead. How clever is that? Suitable for normal/combination skin types or fragile skin, this feels lovely on my dehydrated skin and applies like a dream. 2-3 times a week when needed I apply a very thin layer over my face, neck and décolleté and ever-so-lightly massage in, wait five minutes and then I apply my moisturiser of choice to really seal it in. By giving it those five minutes to settle onto the skin, it starts to get to work at neutralizing that damage from free radicals caused by pollution, blue light and the sun. It feels very smooth on the skin and my favourite night cream applies just as well over it. Rinse off the next morning. Although I don’t see a huge difference in my skin the next morning-as my favourite night cream already provides me with great results – I do love knowing that I have an extra army at working repairing and protecting me. A really wonderful and useful product to have. This product really intrigues me and I am looking forward to seeing the results with long term use. 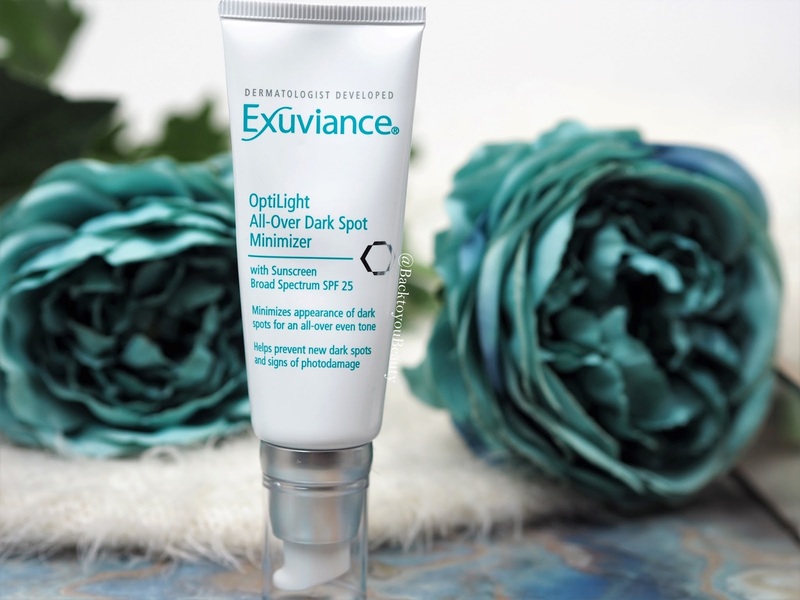 If you are someone seeing age spots, pigmentation and an uneven skin tone caused by the effects of the sun, like I am, this is a very useful product to have. This is a comprehensive all-over facial treatment that aims to create a more even looking skin tone. Dermatologically developed, this product also works to control pigment at all levels whilst helping prevent new dark spots from forming. Very Clever. Containing a combination of two powerful brighteners, B-Resorcinol and Turmeric, antioxidants Vitamin E and Grape Seed Extract to strengthen skin’s resistance to environmental stressors before their damage can show up on skin’s surface and the all important SPF25, this is a product that should be used everyday to prevent further damage. In an easy to use pump container, this incredibly lightweight, almost lotion like product, spreads easily over the skin without clogging, or leaving behind any white residue. It dries down like a dream and makes a great base for make up. I have really been enjoying using this product and feeling protected as well as seeing a brighter skin tone. Perfect to use anywhere you are seeing dark spots. My thoughts on this range. 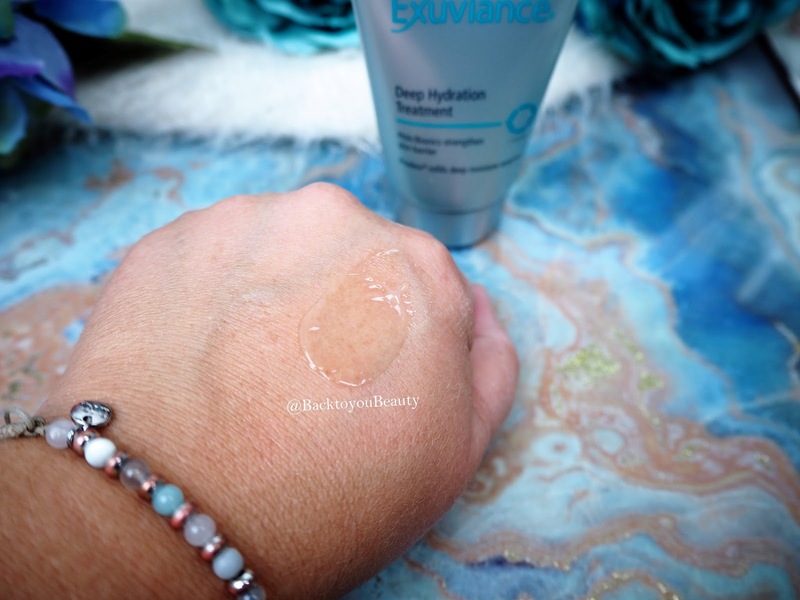 Exuviance may be a range that you have not yet heard of, but I can recommend it as a great range to try if your usual high street products are really not up to par. If you need to step up a level to really make your skincare work for you and your skins needs, check this range out. The creators of this brand are award winners in their skincare field and this is a dermatologist developed range which has that luxurious feel in textures and scents, thanks to the natural botanicals used, but gives those all important professional results from the comfort of your own home. There are also some fabulous looking serums that I am going to try from this range so I will keep you posted. Have you tried this range before? I would love to hear from you, please leave me a comment below. "Fall into Autumn with new releases from Jane Iredale"
"Follow me on my Avon Anew Reversalist Skincare Journey…"
The Dark spot minimiser is exactly what I need . Over the past year my skin has got worse and I have tried so many products nothing is working . I have combination skin and I bet the Deep Hydration Treatment would work wonder on any dry patches. I utterly adore this brand, especially their stand alone SPF! 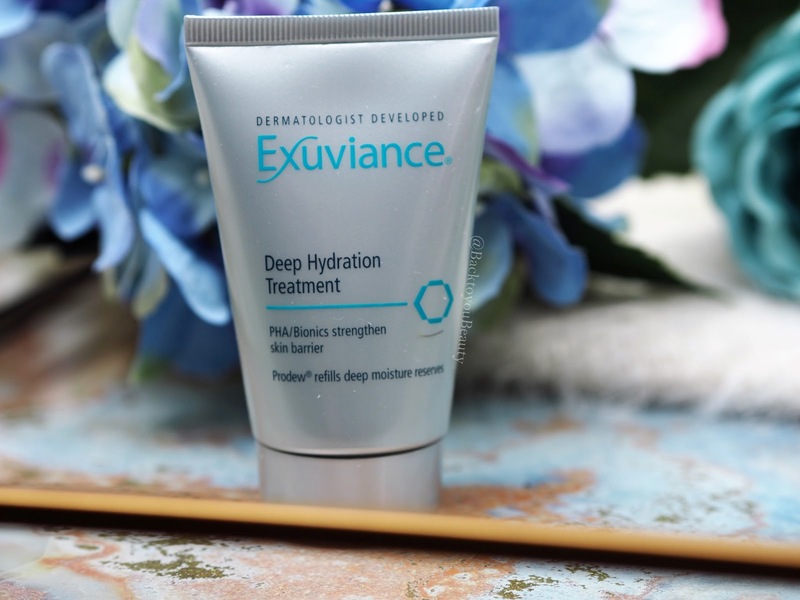 This range sounds really lovely, especially the deep hydration treatment. My skin is quite dry at the moment!